The VP3 Gatherings are an expression of our deep desire to both learn and encourage a more relational way of life and ministry. These retreats provide a time of pause, prayer, learning, and fellowship. More details of the retreat are still to come. We encourage you to mark your calendar and consider joining us. Since 1985, Soo-Inn has been journeying with people through his ministry of preaching/teaching, writing, and mentoring. Originally trained as a dentist at the University of Singapore, he answered God’s call to go into full-time church-related ministry in 1981 and since has obtained his Master of Theology from Regent College and DMin from Fuller Theological Seminary. His primary passions include connecting the Word of God to the struggles of daily life, and the promotion of the discipline of spiritual friendship. He has been a supporter of Arsenal Football Club since 1971 and his favorite movie is Star Wars 4. 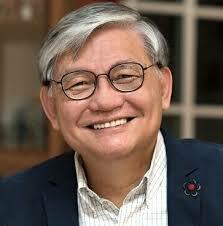 Soo-Inn is a director of Graceworks, a ministry committed to promoting spiritual friendship in church and society. He runs this ministry in partnership with his wife, Bernice. Bernice and Soo-Inn reside in Singapore and have four sons.